Africa needs to foster partners in the developed world to further boost its international trade and economic growth. This is the consensus at the recent maiden forum on “Belarus-Africa: New Frontiers’’ held in Belarus. The forum, organised by the African Export Import Bank (Afreximbank) and the Belarusian Government brought together government officials and businesses in Belarus and Africa to explore more opportunities on trade relations. Dr Benedict Oramah, the President of Afreximbank, who set the tone of discussion at the forum, said that though the total African trade grew one trillion dollars in 2016, Africa had the potential to grow the trade volume exponentially in the next few years. He said that economic prosperity of the continent was, in the main, being stifled by poor infrastructure, stressing that Africa needed 93 billion dollars annually in the next 10 years to bridge the infrastructure deficit. “Africa needs equipment to build roads, bridges, hospitals, ports, power stations, et cetera,’’ he said. Oramah said that the potential of the continent was derivable from its vast resources in land, agriculture, population, water and minerals. “The size of the African economy at 2.5 trillion dollars ranks as the number 10 in the world and strong, averaging 4.2 per cent in the past 10 years. “The population, at about 1.2 billion, is the third largest in the world. “In addition, the continent boasts the youngest and most vibrant peoples with 40 per cent expected to be below the age of 30 by 2030. “Africa faces deficits in production of major food crops from grains, meat, and tubers to fruits and vegetables, yet it boasts of 60 per cent of the world’s useable arable land. “Some of you may not be aware that Africa is a very large continent, about three times the size of the U.S. and three times the size or Europe. “The continent is awash with abundant ground and surface water with seven large rivers. “The continent is also rich with imaginable metals and minerals,’’ he said. Oramah said that to realise these abundant resources, there was the need for African countries to seek partners in the bid to transform these resources to wealth. He said that Africa needed partners that could accompany the continent on the path of sustainable development, particularly which could share their experiences on how to rise from poverty and deprivation to wealth and prosperity. 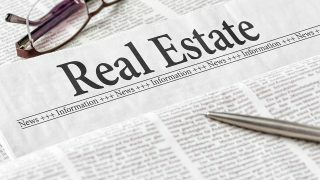 Oramah, however, said that Africa did not need partners that would only be interested in selling consumption goods to it. He identified Belarus in Eastern Europe as a young sovereign and developed country that could “walk the walk with Africa’’. “My brothers and sisters, distinguished ladies and gentlemen, we at Afreximbank are convinced that Belarus qualifies as such a partner. “With factories churning out tonnes of large equipment and tractors, Belarus presents an immense opportunity to Africa as a source of affordable investment goods the continent needs for its development. “Belarus expertise in mining and ICT fits squarely into the development needs of Africa. “Belarus boasts of expertise to support Africa’ industrialisation drive and can be a market of semi-processed commodities. Belarus is a small country of less than 10 million people in the former Union of Soviet Socialist Republics (USSR) from where it gained independence in 1991 after the breakup of the Soviet Union. It has a well developed economy producing heavy industrial machinery and equipment, manufacturing, agricultural and energy products as well as expertise in ICT, mining and road construction. Its biggest trading partner is Russia from where it imports petroleum and agricultural products. Unemployment rate in Belarus is about 1.5 per cent, most of which are women. Mrs Sibanda-Thusi Nomatosho, the South African Ambassador to the Russian Federation, advised African businesses to seek new opportunities in Belarus to improve their development. She said that African countries had been missing on global trade opportunities because they were not consulting relevant agencies. She said that African countries could export artifacts and agricultural products to Belarus and in turn get expertise from Belarus to process agricultural products for export. “Are African women trading with Belarusian women? They should seek out for counterparts to improve the living standard of their families, where women have the advantage,’’ she said. Nomatosho expressed regret that African businessmen would come to do business in Europe without consulting their embassies for follow-up information. She said that there were 45 African ambassadors in Russia, who met regularly on African interests in Russia. 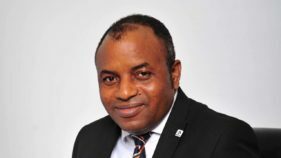 Nomatosho advised African businesses to seek assistance of Afreximbank to get more information on global trade as the bank was well placed to get and provide business information around the world. She said that Afreximbank was specifically created to act on behalf of the 54 countries in Africa since African ambassadors could not provide business information effectively well due to bureaucratic challenges in reporting to their home countries. The ambassador said that Afreximbank would fast-track the process of getting business information to businesses than ambassadors as the bank was not an appendage of government. “These will short circuit the process of communicating to Africans on business information as our bureaucratic procedures of reporting to governments are cumbersome,’’ she said. Nomatosho said that political relationship between Belarus and Africa was very strong and that would impact positively on business relationships. Contributing, Mr Valentin Rybakov, the Vice-Prime Minister in the Belarus Ministry of Foreign Affairs, advised African businesses to take interest in Belarus, saying that he foresaw a bright future in the trade relationship. He said that though Belarus could be a small country but it held great prospects for African businesses. Rybakov expressed optimism that the trade relations would grow to a level where joint assembly plants would be established in Africa to process agricultural products for export and in other areas. He said that Belarus could not establish embassy in all countries in Africa, but his ministry as a facilitator, would keep encouraging Belarusians on partnerships with Africa. Also, Mr Igor Baylor, the Vice-Minister for Agriculture and Food in Belarus, said that though the countries were far flung apart, but the internet had brought the world closer for business to thrive across the regions. He said that Belarus embassies in Africa were also there to link businesses together. 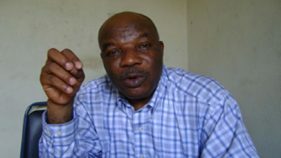 “Africa should open its doors as Belarus is ready. This forum is not organised to promote only Belarusian interests, we are also looking at ways we can import goods from Africa, particularly agricultural products. “Even semi-processed agricultural products can be imported from Africa. We are not imposing Belarusian products on Africa, but mutually beneficial relationships,’’ the minister said. In the last one year when this initiative was consummated, trade talks between Belarus and Africa are already in advanced stages in Senegal, Togo, Côte d’Ivoire, Nigeria, The Gambia, South Sudan, Republic of Chad, Zambia, Sierra Leone and Republic of Congo. 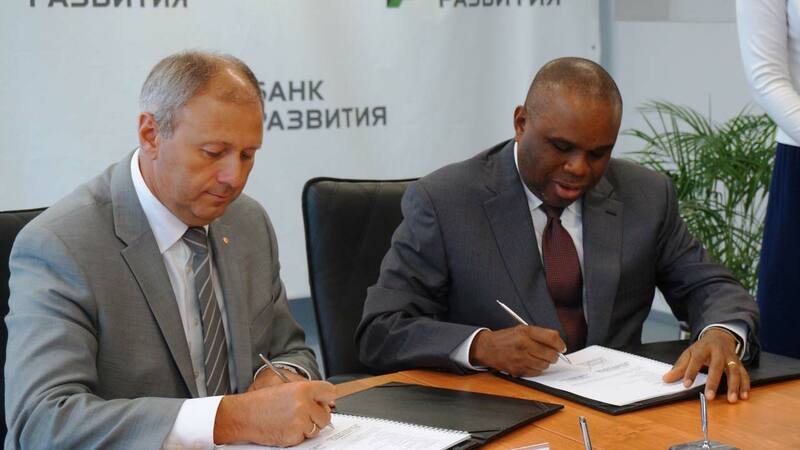 To expand the trade and investment flow between the two regions, Afreximbank and Development Bank of Belarus are pooling together 880 million dollars to finance Belarusian and African businesses under this platform. The high point of the two-day forum was the signing of a Memorandum of Understanding on the framework for the disbursement of 150 million dollars loan facility. The 150 million loan facility is the first tranche of the 880 million dollars facility the two banks pledged to provide under the Belarus-Africa Trade and Investment Fund Facility (BATIFF). Mr Sergei Roumas, the Chairman of Development Bank of Belarus, said that the occasion was a significant step toward establishing mutually rewarding trade relationships between Belarus and Africa. “There are more agreements to be signed to implement future projects,’’ he said.